Northeast Zone Baseball has worked hard over the last few years to develop a program that is fun and aimed at player development. Our program has over 500 players and hosts over 70 teams with athletes from 4 to 18 years old. We are a member in good standing of Baseball Alberta and Baseball Canada and in 2010, NEZ Baseball was the first association in Alberta to receive the prestigious “RBI Approved” designation by Baseball Canada. Ensure that local baseball associations apply core common criteria to ensure that consistent good practice is in place. To empower parents when choosing a local baseball association for their children. To ensure that RBI Accredited Associations are recognized through a common approach to branding. To provide a focus around which all baseball associations in Canada can come together to support good practice in working with children and young people. To promote and reward registration/membership within Baseball Canada, baseball’s national federation of sport, as well as within the Provincial Baseball Associations. We feel that by being RBI approved, we can give a parent an easy choice when they are looking for a program to place their child. Hello Baseball Parents and Players, Welcome to the 2019 season! The Padres (AAA) program is the most competitive of the baseball programs offered by the NEZ, and therefore has the highest level of commitment required from players. The teams represent the NEZ in a league that includes teams from across the province. Rep teams are designed for players with more advanced baseball abilities and a desire to compete at a higher level, among peers and competing teams that will challenge their abilities. In order to support the players in continued skill development and provide an understanding of higher-level competition, the AAA Padres teams receive coaching from a staff of highly experienced, NCCP-certified and technically proficient coaches. The AAA program’s coaches and players are also guided by a Technical Director who works with all AAA teams in player and coach development. The AAA Midget team will also travel to tournaments in the province, Western Canada and the US. The Padres (AA) program is a competitive division of the baseball programs offered by the NEZ, and therefore also has a high level of commitment required from players. 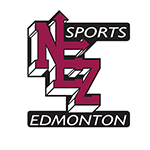 The teams represent the NEZ in a league that includes teams from across the province. Rep teams are designed for players with more advanced baseball abilities and a desire to compete at a higher level, among peers and competing teams that will challenge their abilities. In order to support the players in continued skill development and provide an understanding of higher-level competition, the AA Padres teams receive coaching from a staff of highly experienced, NCCP-certified and technically proficient coaches. The AA program’s coaches and players are also guided by a Technical Director who works with all AA teams in player and coach development. The Padres Provincial (A) program is one level below the AA program and therefore the skill level, competition and time commitments are at a similarly slightly lower level. It is intended for skilled house league players who have a desire to play at a more competitive level after the house league season ends. Similar to the AA program, the team typically consists of 12-15 players, which are selected by tryouts and therefore the team can be considered a “selects” team, composed of the more skilled players that participated in the house league program in May-June. The tryouts commence in May and the team plays during the first 3 weeks of July. Like all NEZ rep teams, the Padres A team is supported by a coaching staff of experienced and NCCP certified coaches, who can provide a higher level of instruction and direction in competitive baseball. The house league program is designed for players of all skill sets and athletic abilities; all are welcome to play and there are no tryouts. The house league program is intended to provide all players with a fun and fully inclusive playing environment with a focus on skill development, sportsmanship and recreation. Players in this league have skill and experience levels that range from introductory (i.e. never played on a baseball team before) to rep team calibre. In 2018, the NEZ fielded teams from 6 different local communities. Similar to 2018, the 2019 NEZ house league teams will play their games with the Sherwood Park minor baseball league and the ERBL. The season lasts from the beginning of May to the end of June. The majority of games for our Mosquito and Peewee players will take place within communities in the NEZ and a few will be either in Sherwood Park, Ardrossan, Fort Saskatchewan and/or Gibbons. Bantam and Midget teams will travel in Edmonton and surrounding area. Coaches are typically parent volunteers and therefore have a wide range of experience; however, NEZ strives to ensure that all coaches are NCCP certified. All coaches, regardless of level, are also required to complete in the Respect in Sport training program. The fall baseball program is a strictly developmental program intended to provide Mosquito, Peewee and Bantam players an opportunity to further develop their baseball skills after the spring and summer programs have completed. The fall league is similar to the house league in terms of time commitment and the range of skill sets and there are no tryouts. The fall ball team plays in a league with other communities in close proximity to Edmonton (i.e. Sherwood Park, Stony Plain, etc.). The league runs for 4 weeks during September and October. Time commitment is typically two practices per week and 2 games (one double-header) on Saturdays. The Fall Performance Program is meant to be developmental in nature, both from a team standpoint and individually. Therefore, the goal is to provide a fairly equal amount of playing time for each player as we establish our program as far as intensity, tactical strategy and player technical development. Games will provide opportunity for feedback on developmental progress as well as to base our weekly practice plans upon (team and individual development). Players will work in their primary positions as well as have the opportunity to develop secondary positions or pitches (pitchers). Peewee and Bantam divisions will compete within the Baseball Alberta Fall Ball schedule, plus additional games against academy and regional teams. The mid-October showcase tournament in Kelowna will wrap up the Midget Fall Performance Program season and will be used to provide a final exam-type opportunity for our players (not to put pressure on them but to assess our progress). The goal again will be to provide a fairly equal amount of playing time while attempting to do as well as possible in the tournament. We will use this tournament as a gauge for where our overall team development is as well as to collect final data for individual player development plans during the High Performance Program in the off-season. The High Performance Program (HPP) is an off-season development opportunity for players interested in elevating their game. Whether that be a goal to make a AA or AAA team, showcase for regional, provincial and/or national programs, or pursue collegiate baseball and beyond, this program offers a pathway for athletic and personal development. The $50 tryout fee for Edmonton Padres AA/AAA programs will be waived for the athletes participating in HPP. HPP workouts run 2-3 times per week for baseball technical sessions and twice per week for strength and conditioning plus a Life Skills session weekly. Facilities include Commonwealth Community Recreation Centre (field house), Home Run Sports and NAIT. Instructional staff features coaches who are experienced and provincially trained or certified by way of NCCP through Baseball Canada. HPP also offers elite strength and conditioning training by way of partnership with NAIT. Certified Strength & Conditioning Specialists with Master’s degrees Biomechanics lead baseball-specific, off-season training program workouts and assessments. Our athletes benefit from the knowledge, expertise and customized training of NAIT’s varsity strength and conditioning coaches. With a core philosophy of developing the person as well as the athlete, HPP offers Life Skills sessions on Saturdays at NAIT. These sessions provide our athletes with a well-rounded and enlightening experience through presentations, small projects and mentorship from subject matter experts. Topics include financial literacy, leadership, public speaking, resume writing, public speaking, athletic health and nutrition, community engagement, baseball theory, etc. Post-secondary prep opportunities are also available through NAIT Student Recruitment and other on-campus events and initiatives. Overall, HPP offers an academy-type program as far as hours and intensity, conducted all within NEZ Baseball through the Edmonton Padres brand. Since this is an “after school program” players are not required to change schools to participate. In an effort to ensure access for all athletes interested in developing to their baseball potential, this program has been priced at an extremely affordable level (especially when compared with local academies). “North” refers to which side of the field fieldhouse we will be using that day. Please note, there is a $100.00 non-refundable fee for all players wishing to try out for any Peewee, Bantam or Midget AA or AAA team. Fee is waived for any fully enrolled HPP players and Mosquito players. Please bring payment to the first tryout (Cash, Cheque, Visa, Mastercard, Debit)(Please make any cheques payable to NEZ sports).